Every single one of the blessings you can receive by the tithing confession is all about MONEY, MONEY, MONEY. This greedy, manipulative, viperous, prosperity pimp is downright heretical. If you give your tithe, now, all of a sudden your bills are paid off and your debts demolished!? What kind of nonsense is this? One of the most annoying things about the pentecostal, prosperity gospel crowd is their arrogance. It’s just how they demand these things to happen if they just state it with complete boldness and proclaim “in Jesus name” at the end of their declaration. They are always trying to cast out the demon of debt (in jesus name) or the demon of poverty ( in jesus name). the only demon they need out of the equation is themselves. More money, More materialism, more checks in the mail, more gifts, more income, better job, bigger bounuses. ME . . . ME . . . ME. Does “more for me” sound like the name of Jesus? I agree fully. Good insight. My wife and I were rejected from the start. We were sold out to Christ. Churches can’t handle that. The ‘pastors’ get jealous. I tried music. It was rejected. I tried as an evangelist. It was rejected. So after 35 years we tried making a christian movie. It is rejected. If you’d like a copy see below. God bless you. You are NOT alone. If you want to make a donation, please make check out to Devon Leesley. But please do NOT feel obligated. Thanks. God bless. I do not see the big deal about this confession. What is so bad?! Doesn’t everyone want jobs and/or better jobs. Doesn’t everyone want checks in the mail? Surprises? I do! Don’t you think that since you are a child of God, he would want you to have the very best also? Poverty is a demonic spirit that has rest upon so many Christians in our society. In order to cast that spirit out, we need to take back our rights as tithers. Tell the devil that we are the righteousness of God. I happen to like this confession very much, and I think that anyone who doesn’t agree should keep their opinion to themselves! It’s one thing to Work in order to Get, but it’s another to Give to Get. If you have any children, i’m curious if you represent your relationship to them in this way – give to them in order to get? With my two children i can’t imagine providing for them in order to get something in return. Neither do i want them to give to me, out of desire of getting. Another thing. Poverty is NOT . . . i repeat . . . NOT a demonic spirit. Greed, materialism, selfishness, laziness, complacency are the result of poverty. It is the seed that is sown that determines the fruit. Poverty isn’t the demon. It’s not the money that God is looking for. It’s not the money the pastors are looking for. It’s the obedience and the willingness to give up something as valuable as money. As a parent, don’t you want to bless your children when they obey? Aren’t you willing to give them anything they wish because they listen? Same with God. There’s ABSOLUTELY NOTHING in there that states, ‘let’s just give to be a blessing to others’. Sorry, that’s not insinuated anywhere. The whole object of that confession is to highlight the earthly rewards you receive by tithing. Something is wrong, when they list 12 benefits of giving and not one of them is about eternal rewards. It was the words of Jesus that said, ‘don’t lay up treasure on earth’ and ‘seek ye first the kingdom of God’. That doesn’t mean ignore earthly treasure, but as you can read in that confession, they have no balance and zero eternal emphasis. Once again, poverty doesn’t need to be cast out and neither does wealth. it’s selfishness, materialism, greed, and ego-centrism. I fully support earning and creating as much wealth as possible. Wealth is not evil. Believe me, i wish i was making more. Uh… no… I am not willing to give my children everything they wish. That is the problem with youth today… spoiled rotten… no work ethic. My children will learn that not everything is just handed to you and you have to work hard to achieve and become productive citizens. Kids who have their every wish given them, can barely manage their way out of a wet paper bag..let alone face the world…. No thanks…. my children will be prepared for life. Just as you are keen to read Malachi 3:10, have ever spent time reading Matthew 6:1-4? If you have what do you say about it? Who is Jesus Christ to you, will help to know where you have placed Him and His word. I am sure a book like THE TITHING DILEMMA and THE TRIUMPHS OF LOVE will help to understand why the poor are with us. Chloe, it is very difficult to keep ones opinion to himself on a matter like this one and on topic that concerns righteousness. your answer is difficult to determine where it is coming from, religion or a heart full of anger, God forbid. You must read matthew 6:1-4 and 25:31-46 and see if the Lord did not mean the things he said. Surely you have not done your homework well on the New Testament teaching about our righteous. It is not in tithing but the righteousness of Christ. Missing this point makes me wonder how such tithers were saved if at all they are saved! There is a lot to be done. Anyway this “confession” highlights one of the problems that is endemic in the pentecostal movement. The true purpose of the original tithe is lost on those who believe in a give to get doctrine. 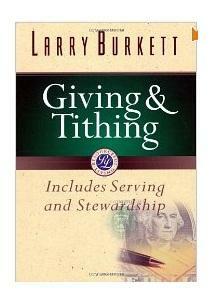 The original tithe as you know was about giving to people for giving sake because those people were in need. Today we have turned it into a guarantee of future blessings. Not to mention that interest which is connected to usury is/was a sin yet people are being ask to confess to receiving more interests. This is what I term “creating god in man’s image”. It seems that some do not want to see that money comes to us by HARD WORK. Many are hoping for it to fall magically from the sky into their wallets. God is not a ‘cosmic slot machine’…..he provides us each with skills and the ability to work…..this is how we are ‘blessed’.